Good afternoon! I hope you are all having a wonderful Tuesday! Today I am back with yet another Two for Tuesday combo. Today’s pairing pulls from two of my favorite brands and finishes. I am a sucker for a good creme and jellies are my weakness. 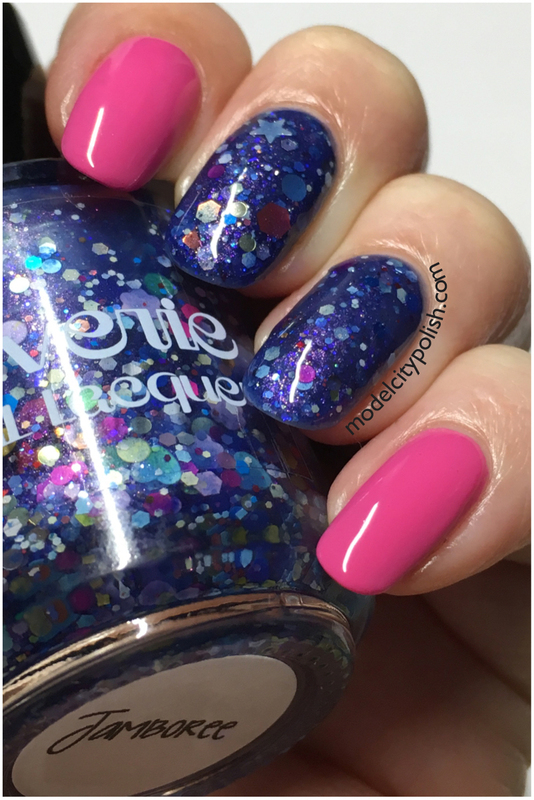 For today’s combo I started with three coats of Jamboree by Reverie Nail Lacquer. 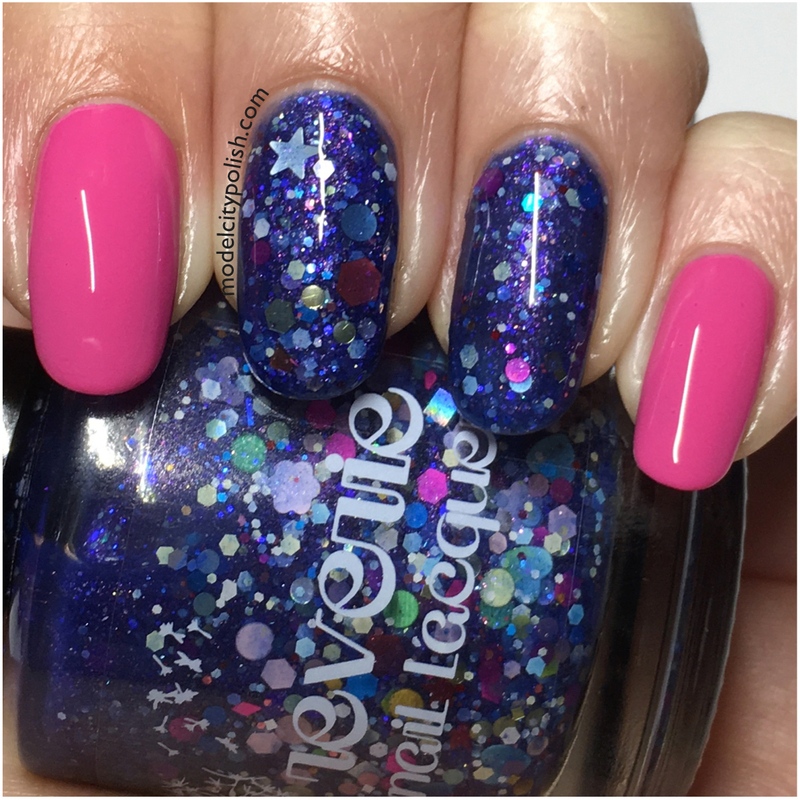 This is a gorgeous deep blurple jelly filled with various glitter and has amazing depth. 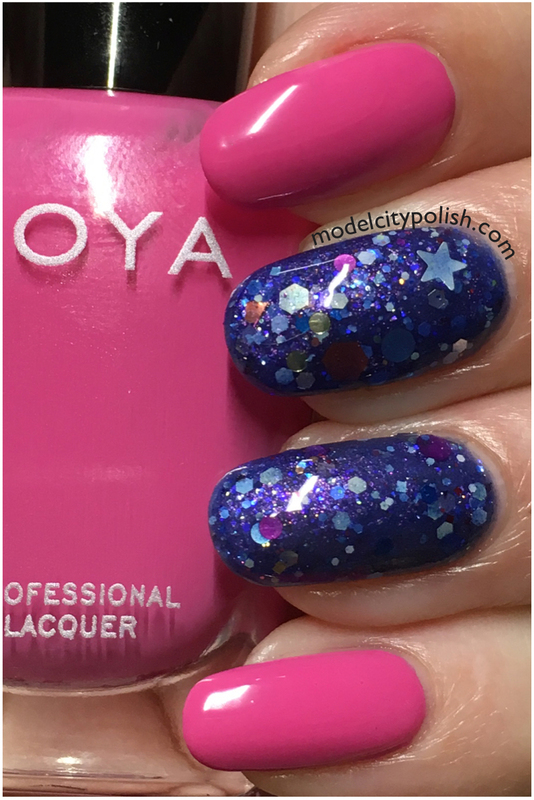 I pulled the pink glitters from Jamboree and decided on two coats of Rooney by Zoya for the perfect match. Everything is then sealed with a coat of clear from SuperChic Lacquer. This is such a pretty combo. I am loving them both!!! Love both of these and they’re gorgeous together! I love this pairing and I love both of these brands! Very pretty! 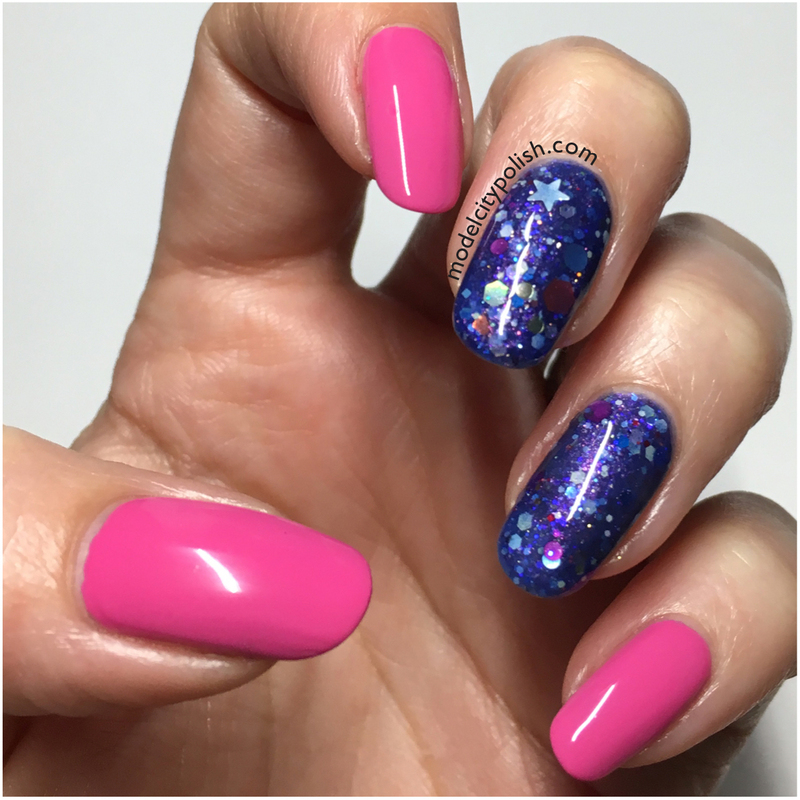 I know I say this every week, but you pick the best combos that make the glitters POP!! 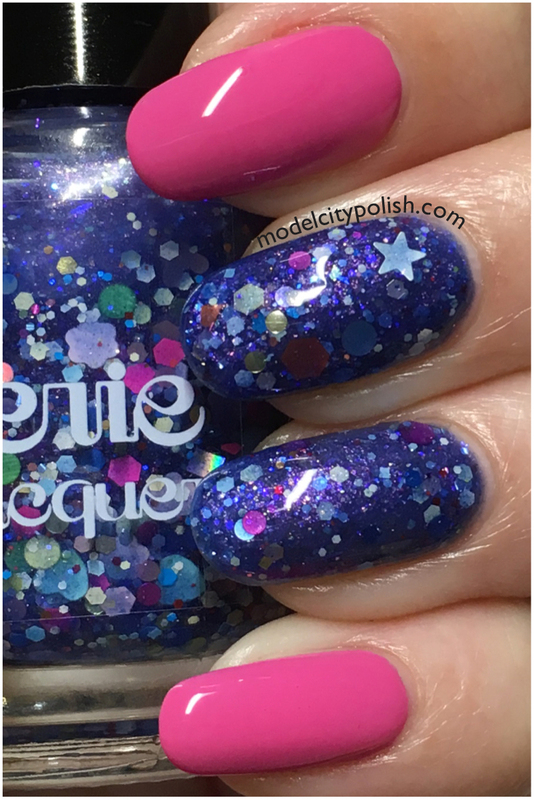 Jamboree is such a fun polish! I love everything that’s happening in there; plus, it’s blue! I remember when I saw pics, I knew I had to have it!!! Wow! 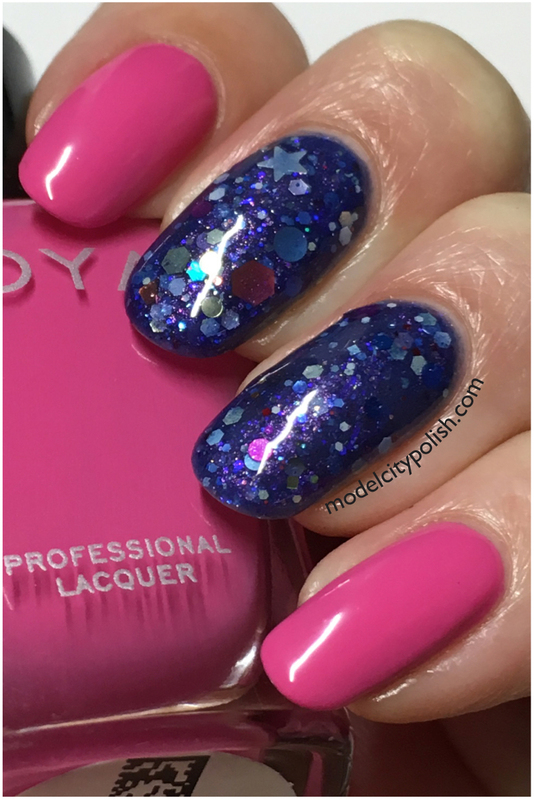 I can’t believe how smooth that glitter polish is! Gelous is a life saver when it comes to smoothing glitters!!!!! That blue is amazing !!! I remember Two Gypsies from the Reddit Days! My, how things have changed since then 🙂 Great combo! And all that time, I still love their jellies!!!!! I’m totally addicted!!! These colors go great togther! 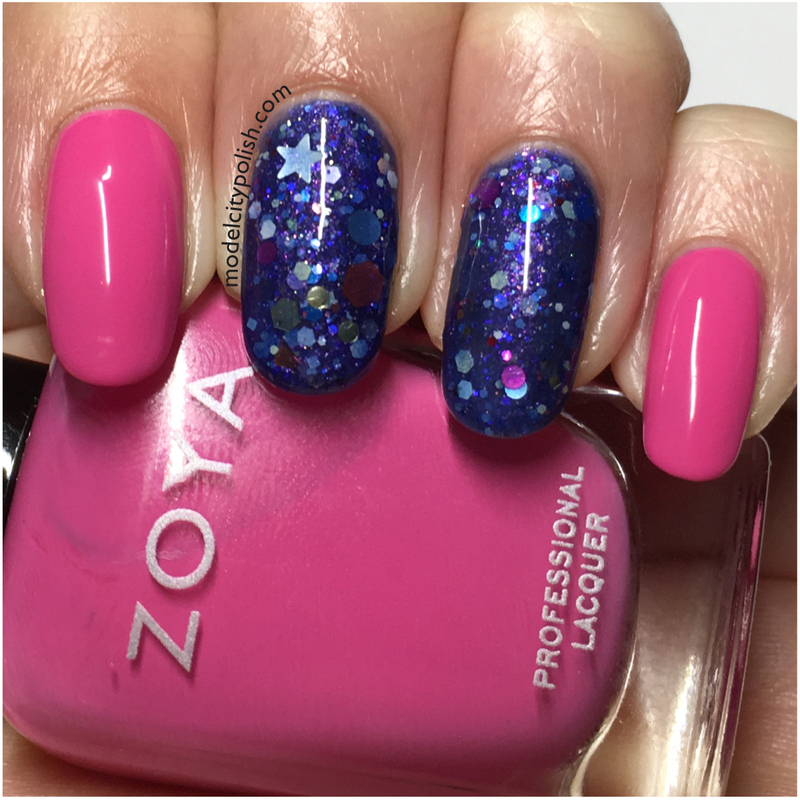 You are a master at pairing polish! I love these 2-for-1 posts!